Thank you for your interest in our school. We look forward to learning about you. Learn more about our school and the Tucson community below. 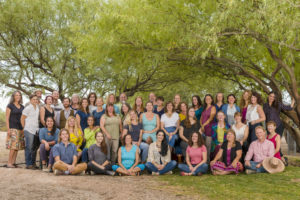 Tucson Waldorf School is seeking a Grade 5 teacher for the 2019-2020 school year to join our dedicated faculty. A successful candidate will be a Waldorf experienced and certified teacher, or at the least will have completed an accredited Waldorf training program by this July. TWS is seeking someone to teach a combination of language arts and/or visual arts for the 2019-20 school year. This part-time job involves two periods a week in each middle school class, Grades 6-8, for a total of 6 periods. There is also a required weekly meeting after school, as well as some recess supervision. A qualified candidate will have experience teaching Grades 6-8, and a strong grasp of one or both of these curriculum areas. Relevant teaching experience is very strongly preferred. Please email your letter of interest, resume, and references to Linda Braun at [email protected]. We are a dedicated faculty who are committed to working out of Anthroposophy in supporting the young child, and one another in our personal development. 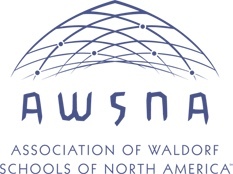 Our school was founded in 1993 and is the only independent Waldorf School in Arizona. In the coming year, we will continue to offer parent-child classes, two nursery classes, three kindergartens and grades 1-8 school. We have a dedicated community of parents, faculty, staff, and alumnae. The Tucson Waldorf School campus resides on a 10-acre site in the Binghampton Rural Historic Landscape in Tucson. We have completed two of four phases of a Capital Campaign to build our dream school on this stunning property. Tucson has the lovely, relaxed feel of a small town and the amenities of a sophisticated city. In addition to our sunny weather, there is a strong presence and diversity of arts, music, and culture. Residents here enjoy a wide range of cultural events, outdoor festivals, museum exhibits, films including an independent film house, live theater productions, dozens of live music venues. The University of Arizona is one of the leading research institutions in the country and draws many intellectual leaders to Tucson. We have a vibrant political culture, great coffee shops, and strong environmental principles. Situated in the lush Sonoran Desert and surrounded in all directions by beautiful mountain ranges, Tucson offers many hiking, biking, camping, rock climbing and other outdoor adventure opportunities. Within a short drive, you will find interesting small towns, national parks, and historic landmarks. Four hours south, on the Sea of Cortez, you will find beautiful beaches and world-class diving. Our summers are hot, our winters are ideal. Summer escapes include a short jaunt up Mt. Lemmon to 9,000 feet of cool air and pines. We welcome your application and encourage you to consider joining our unique Tucson Waldorf School community. To learn more, please contact (520)-529-1032.